not an Egyptian to be seen. Moses says we’re all to leave and he’s gonna part the sea. The wind is howling as we’re gathering inside. Let’s find all the slaves, it is time to go. Be as quiet as we all can be. Conceal, don’t tell, don’t let them know. Get the dough! Get the dough! Don’t let it rise anymore. Rising’s not worth waiting for. We’ve had enough of this slavery. Let the Red Sea part. The plagues never bothered us anyway. Make the dough puff up and rise. And the runaway fermentation, makes the bread turn out just right. To part the Red Sea and run through. No yeast, no leaven, no bread for us. Get the dough, get the dough. God sent the plagues and we’ll be free. You’ll never see us cry. Here we are and now we’ll leave. There’s no time to wait; the bread will just be flat! 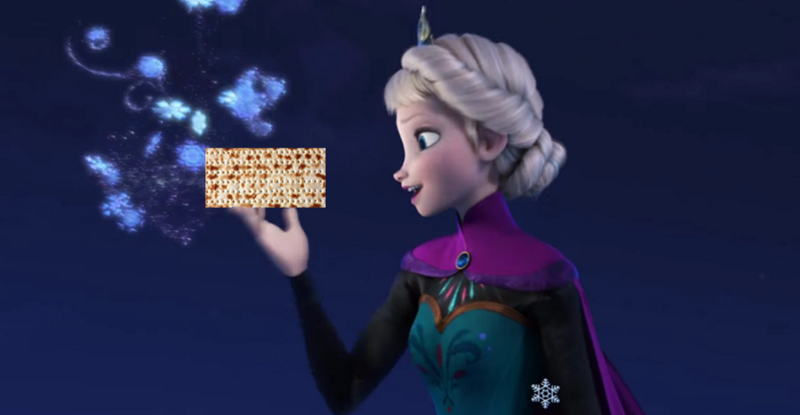 The plaques never bothered us anyway.